We are excited to announce the Canopy Collection by SiteScapes, Inc., an aluminum set of benches with a very contemporary style. 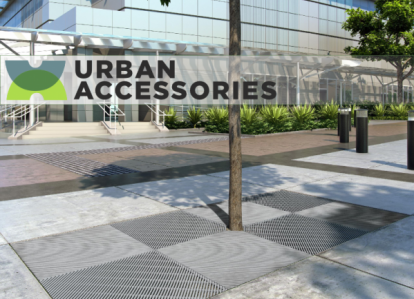 Introducing our New Virtual Catalog of Urban Accessories Products! We have created an easy to navigate interactive catalog for Urban Accessories. Simply click on the catalog cover above and you will be taken to our new virtual catalog. This comprehensive brochure contains images and descriptions of our classic as well as our new ornamental grates that we offer. Every product has a link that can be accessed within the catalog, this will take you to that item's specific web page where you will find more information about that product and also be able to download all the drawings and specifications for that product. You may also access the catalog by clicking here. Our way of saying thank you, by inviting you for a Charter Fishing Trip on the Chesapeake Bay. Form and Function for your Next Walkway Project! Playground Installations, Professional Certifications, and More! Check Out Tree Grates and Tree Guards From Urban Accessories! Check Out The Jordan Creek, Tall Grass, and Banning lines from SiteScapes! Recycled plastic can be substituted for wood on any of SiteScapes wood line products. Plastic lumber is generally manufactured from 25 percent to 100 percent by weight preconsumer and postconsumer plastics, or a blend of recycled plastic with other materials such as wood fiber, glass fiber, rice hulls, peanut shells, and rubber. By using materials that have been diverted from the waste stream (e.g. plastic, wood, rubber, etc. ), recycled plastic lumber (RPL) conserves landfill space. Our Plant personel all take pride in only letting products that meet our very highest standards ever leave the building; promising your products that fit great, play great and look great for years of colorful and safe play. 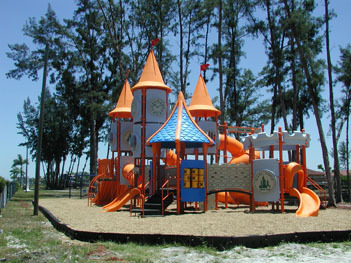 WATER SPLASH INC. is the leading manufacturer of innovative aquatic playground products in North America. Founded by a team of engineers with the sole aim of bringing cutting-edge innovation and the highest possible safety standards to the industry, the company has rapidly expanded and has set new standards in virtually every area of the industry. 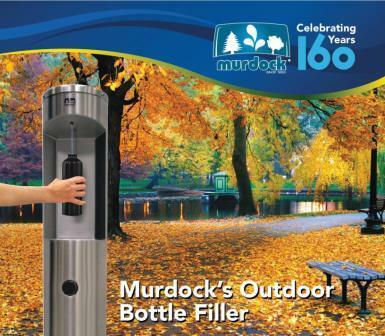 From highly customizable and attractive spray product designs to revolutionary advances like Internet based control of the water re-circulation system, Water Splash continue to set the standards for others to follow. Variations was designed with the contempory outdoor space in mind. It is minimal and elegant, while also offering a subtle sense of ornamentation, and will seamlessly compliment the clean sophisticated ethos of modern urban design.